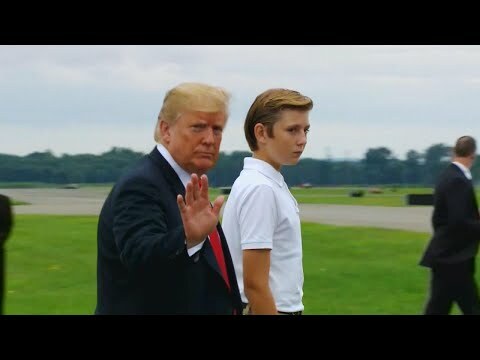 Barron Trump, who hasn’t been seen in public in three months, looks like he has hit a growth spurt. The 12-year-old is almost as tall as his 6-foot-2 father. The first family returned to the White House Sunday from their working vacation at the president’s country club in New Jersey. Barron was seen sporting a white polo shirt, khaki pants and New Balance sneakers. The first son will start school right after Labor Day in two weeks.